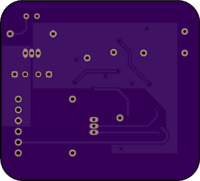 2 layer board of 1.86 x 1.68 inches (47.2 x 42.6 mm). Uploaded: December 2nd, 2017 19:02. 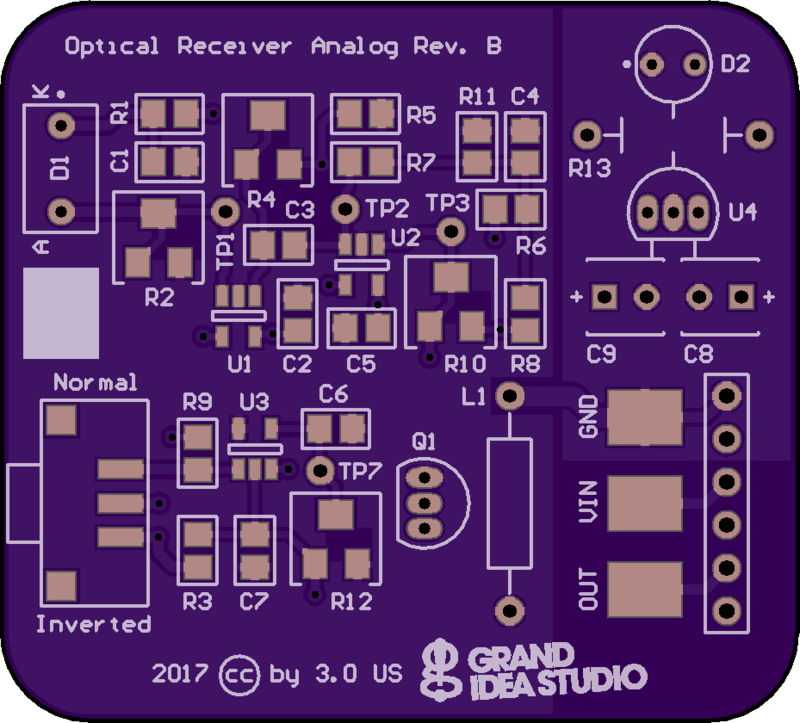 Receiver module for Optical Covert Channel experiments. 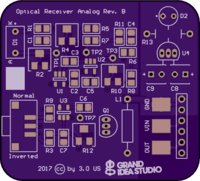 Analog version based on Maxim Integrated’s AN1117 application note. Rev. 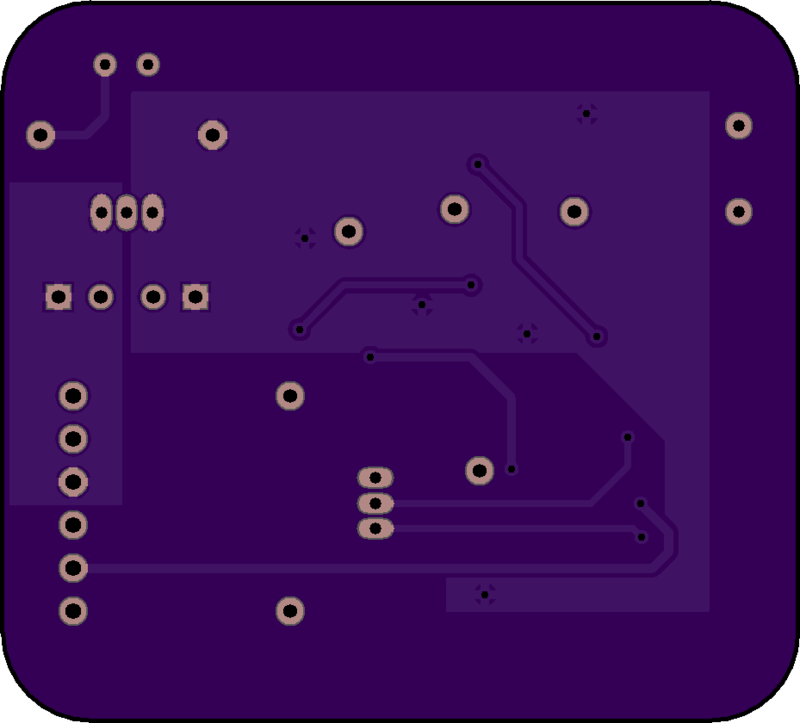 B includes potentiometers and test points for easier configuration.